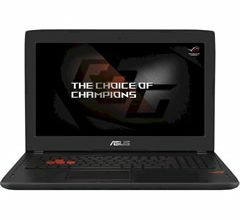 ASUS ROG GL553VE features an Intel’s seventh-generation Core Duo processor (i5-7300HQ or i7-7700HQ), an 8GB DDR4-2400MHz RAM, maximum support 32GB DDR4-2400MHz memory, 128GB SSD and 1TB mechanical hard drive, and an NVIDIA GTX1050 Ti Discrete graphics card. 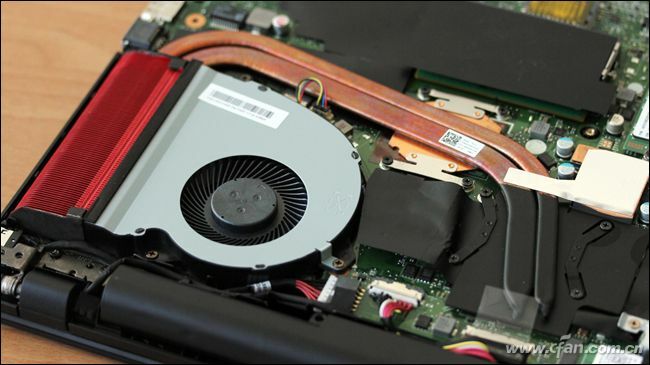 We dismantled the laptop specific model of ROG GL553-VE7700. 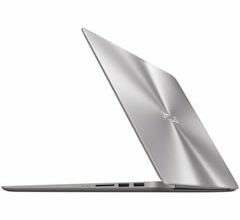 The laptop body thickness of 30mm, ASUS through the optimization of material and structure, the weight of this product will be controlled to 2.5kg. This weight is acceptable for a 15.6-inch gaming laptop. Thanks to the relatively thick body, so it got more excellent scalability. The left side of the fuselage has RJ45, HDMI, USB3.0 and USB Type-C port. The right side of the fuselage to provide a DVD burner (yes, that is, the drive is not a bracket) and a USB2.0 port. 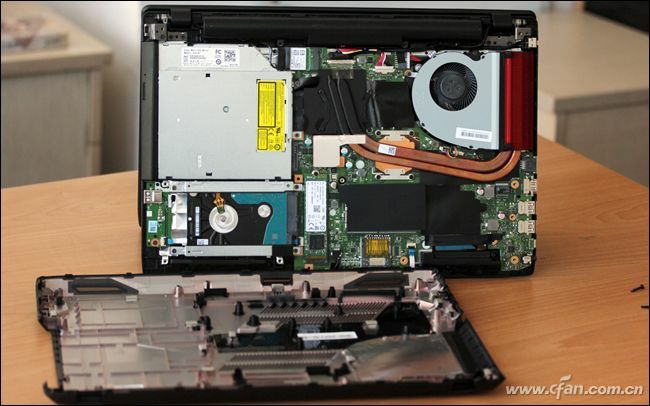 In this guide, you will learn how to disassemble the ASUS ROG GL553VE and upgrade the SSD, RAM and HDD. 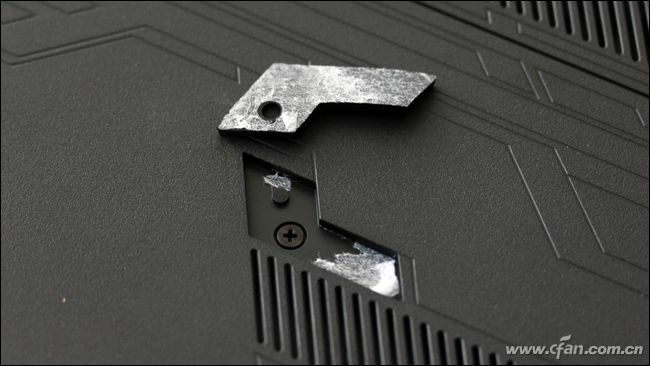 Remove all visible screws from the bottom case. There is a screw under the rubber foot. If you forget to screw it down, violent demolition will cause irreversible damage. 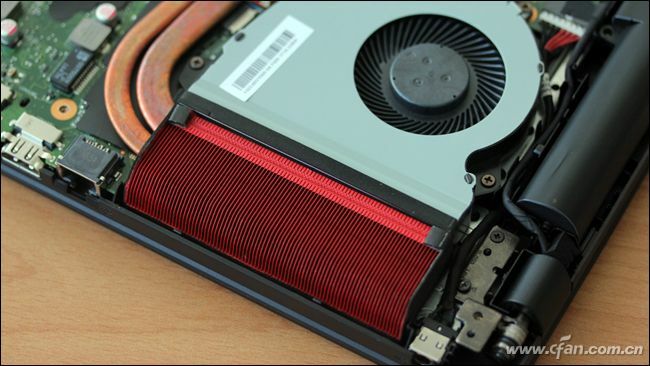 With the bottom case removed, you can get access to the battery, hard drive, SSD, RAM, speaker modules, heat sink, cooling fan, wireless card and motherboard. 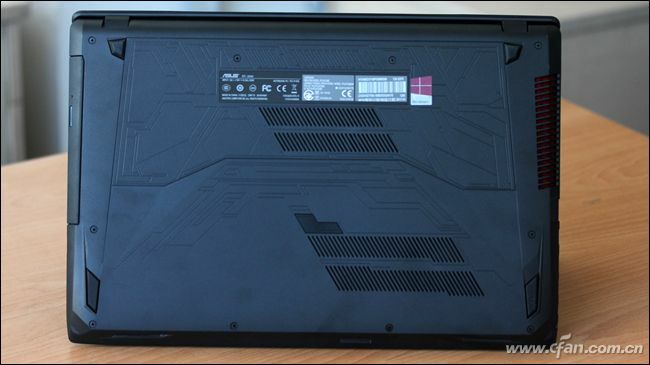 The laptop uses a battery consisting of 3 cells 18650, the capacity of 48Wh. Here’s optical drive, you can buy an optical drive caddy to install a 2.5″ hard drive or SSD. Here’s ROG GL553VE wireless, it supports 802.11 AC and Bluetooth. Here’s HDD hard drive. It is fixed on the metal bracket, with good shock resistance. 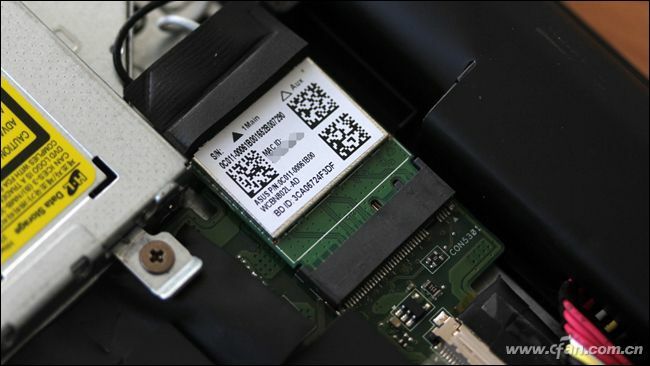 SK Hynix 128GB SSD, unfortunately, it is with SATA channel. The good news is that the M.2 slot should be supported NVMe SSD. It comes with an 8GB DDR4-2400MHz memory, but also has a spare memory slot. If necessary, you can install two 16GB memory to form a 32GB dual channel mode. Two speakers embedded in the fuselage on both sides of the front, let the sound closer to the player from the location of the transfer out, the sound quality is still very good. The ROG GL553VE keyboard, screen, cooling fan and adapter are available in our parts store. thanks for this info and i have a question: does it support the SSD 960 EVO NVMe M.2 500 GB from samsung and it only with one line? How can I replace the keyboard module in this model ? I tried but I could not disassembly the Keyboard, I was a bit afraid of messing up the notebook. If you know, can you give me some tips about ? m.2 slot is sata 3 or pcie? Caddy for dvd is 12.7 or 9.5 height? Hello! Thank you for information! I have a question… is the “receptor of ethernet” a module? 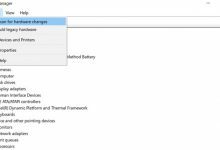 I mean, if the motherboard is changed, can that module be switched to the new motherboard, so that the MAC Address will remain the same? Battery need to take out before update ram? 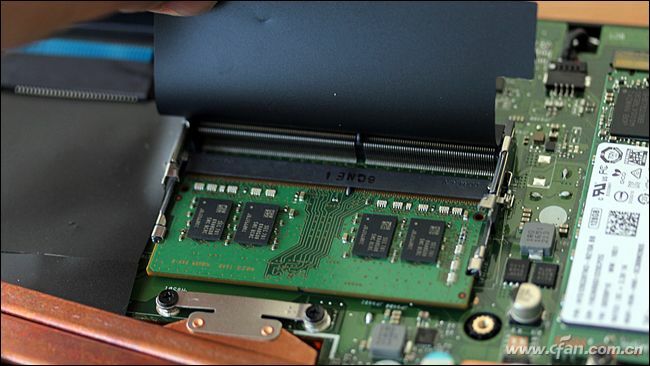 Yes, just disconnect the battery connector from the motherboard, you do not need to remove the battery. SOS – My issue is Windows and iTunes having a fit over the 128Gb/1Tb factory and I’d like to update them to 1Tb SSD/5Tb SATA combo. I already checked the ASUS/ROG site(s) to no avail and I’m you’ll happen to know if a 15mm thick HDD could replace the 1Tb 2ndary/data drive. 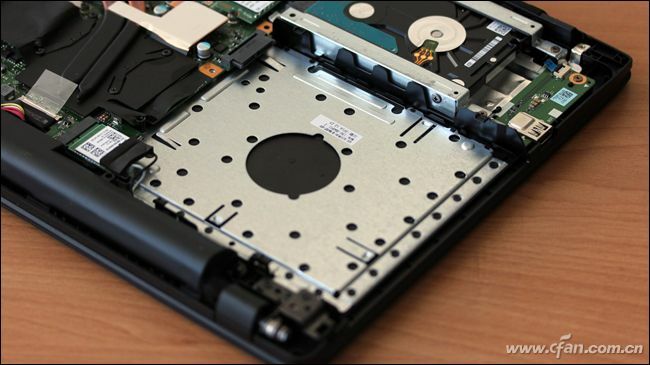 Usually, the laptop does not support a 15mm hard drive. There is another way to add a hard drive. You can remove the optical drive and then add a hard drive in the optical drive bay. 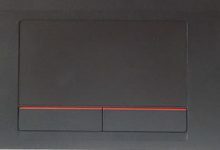 what is recommended type ssd for ROG Strix GL553VE ? 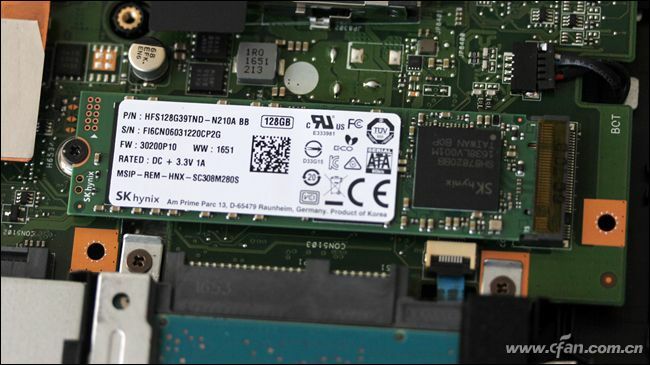 Hi, the M.2 slot support NVMe SSD, So I suggest you buy a PCIe NVMe SSD. hi, how can I remove the battery from the slot? in here you didn’t post the photo of the removed battery. 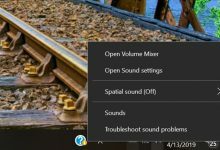 cause I’m having a problem with my FX553VD Asus laptop which was bought last Asus 2018.
it didn’t turn on and I tried to on – off and at least holding the off button for a couple of minutes but still no luck to turn my laptop on. can u please help me with my query? my laptop is new and didn’t use to much cause of my work time. 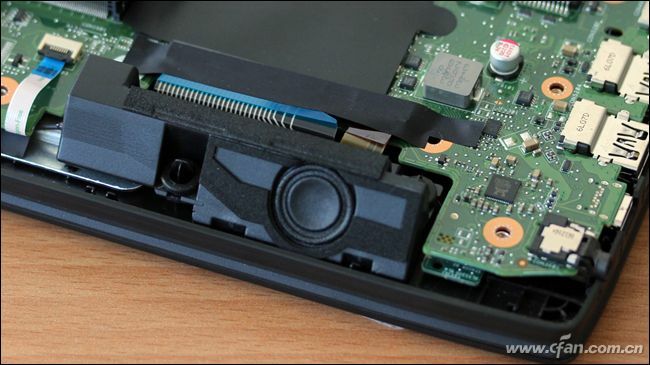 You need to remove the bottom plate first, then, disconnect the battery connector from the motherboard, take out the battery by screwing off several screws that securing the battery to laptop body. Hey, Sandu. 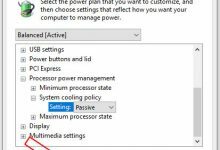 Have you tried installing Crucial P1 CT1000P1SSD8 1 TB Solid State Drive (3D NAND, NVMe, PCIe, M.2) SSD into this laptop? Does it work? Hi, does this model have a BIOS battery that can be removed to reset it? I have not found a CMOS battery inside it. Hello, I have purchased a SATA 3 SSD and optical bay caddy and I was wondering if it would be better to put the SSD in there or the HDD and have the SSD where the HDD sits now. Are the connections all sata 3? 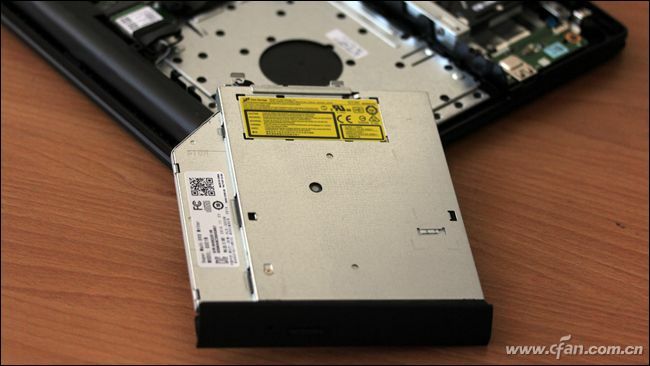 Yes, the DVD drive is a SATA port that supports SATA 3 HDD and 2.5″ SATA 3 SSD. I bought a caddy and a SATA 3 SSD to upgrade, I was wondering if it would be better to put the HDD in the cady or the SSD for best speed.